Your Significant and Critical Life Events, which you will chart in your Life Map, add up to much more than random events. 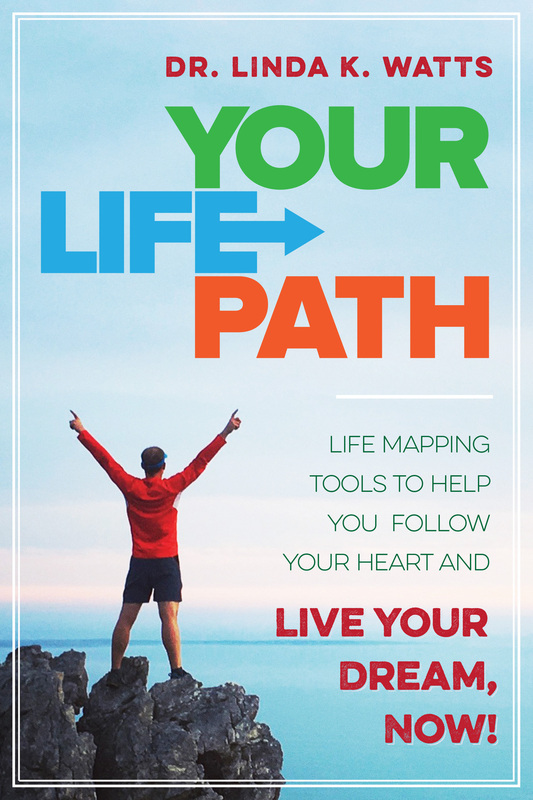 Life Mapping reveals Life Themes, your own Archetypal cast of Characters, Dramatic Life Chapters, and You as the central protagonist of your own Life Story! And, your own Life Story, I promise you, rivals any of the classic myths and most popular novels and movies with its dramatic twists and turns, and perhaps most importantly, with its MEANINGUL MESSAGE. One of my innovative, creative Life Maps Process personal growth and development tools I call the “Parallel Myth” technique. After you have created your Life Map in early stages of the process, you will be ready to identify and describe your own Life Chapters and Life Story in relation to a popular story with which you will probably find you have always strongly identified, even if you never knew why! 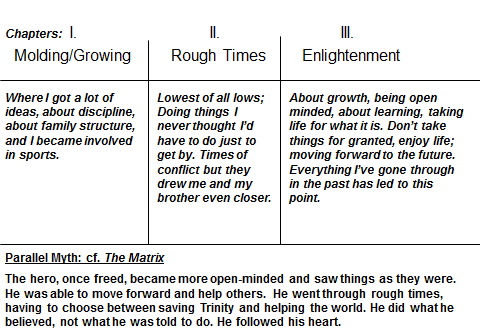 The example shown below is from J.D., a young man I counseled several years ago with the Life Maps Process. His Parallel Mythic Life Story Map reveals the Epic Adventure that J.D.’s life has been, after Life Mapping. Notice how J.D. was able to realize through his Parallel Myth mapping how much his own life–growing up in the inner city Flats of Chicago, facing multiple instances of he and his younger brother being threatened at gunpoint, and finally excelling at basketball and moving with his mother and brother to go to college in Colorado–resembles or even mirrors the story of Neo in THE MATRIX! You too can learn to see the Pearl in the crusted Shell of your own life of hardships, triumphs and adventure.